Oh Dark Interiors, how we've been so afraid of you for so long! I remember going back to my childhood when the 9 year old me decided I was old and wise enough to start having an input on how my bedroom should be decorated. One thing my mother always instilled in me when we were looking was to 'never use a dark colour because it makes the room feel smaller and closed in' - now she wasn't the sole mantra of this idea that 'dark' meant 'small', it was common knowledge amongst the top design guru's of the day. Although I do question her design authority when she allowed me to pick a shocking barbie pink colour throughout - but that's a separate issue. 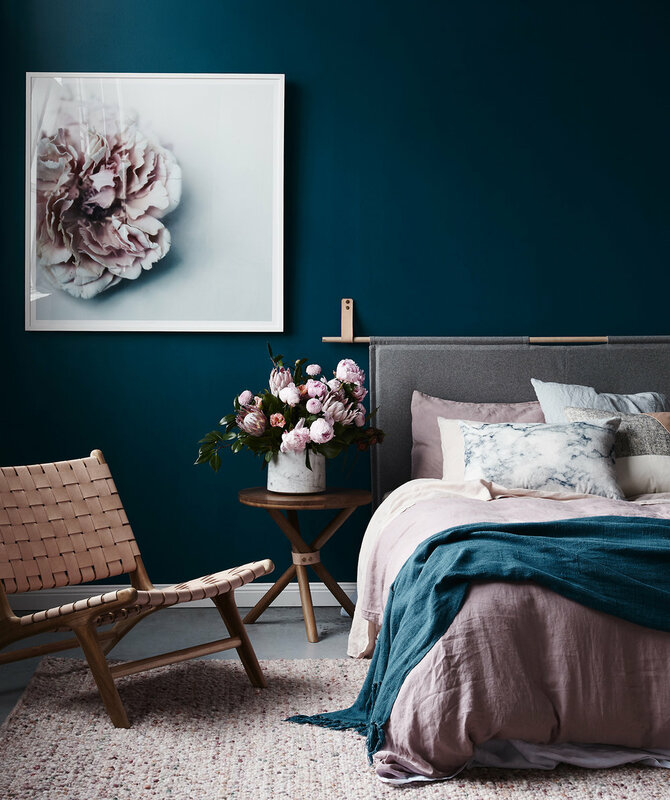 Whether you're a lover or hater of the new Navy blue trend, there's no denying the old myth of it making a room look smaller is a load of.... rubbish. Used as a colour base on the walls creates a sense of mystery and drama - the perfect backdrop for a feature mirror or gallery wall. 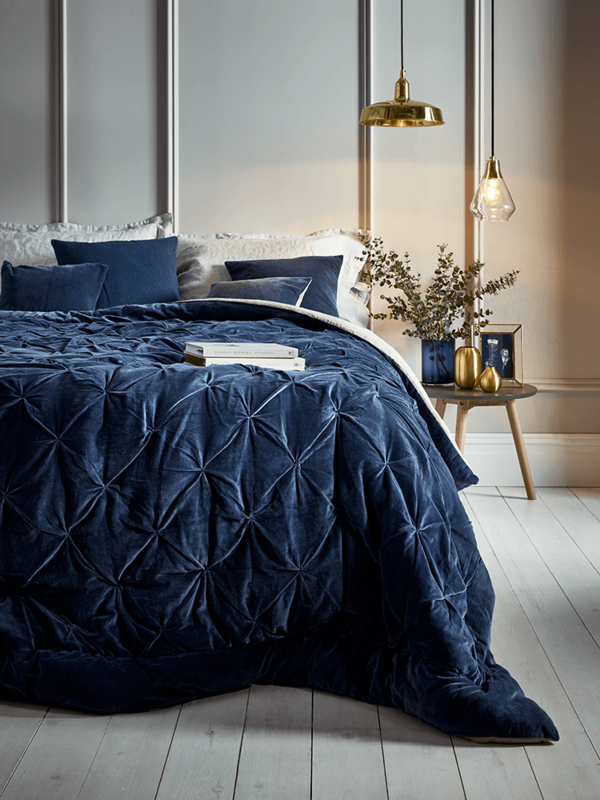 And if you're not bold enough to go full hog, then ease yourself in gently with just 1 wall as a feature wall, or use it in your accessories such as a throw on the bed (See the amazing Cox & Cox throw below!) And break the scheme up with golds, tan leathers, pastel pinks and warm greys. 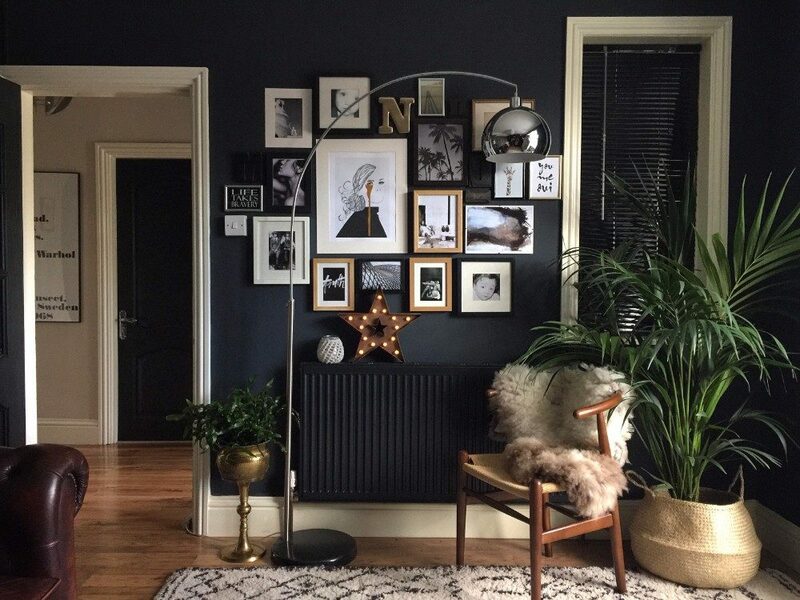 Create a Gallery Wall using mismatching frames of differing sizes, shapes, colours for an eclectic feel. 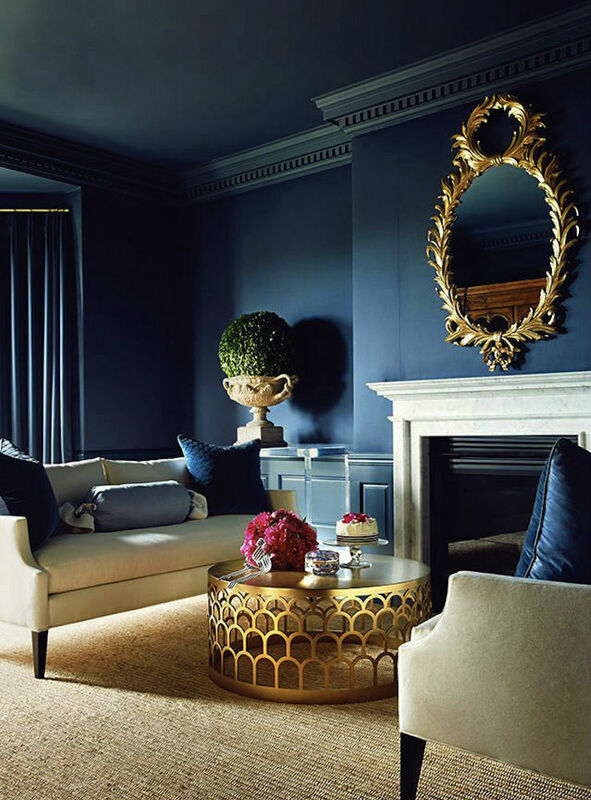 Use it as a backdrop for a gold feature mirror and break it up with lighter colours in the furniture. 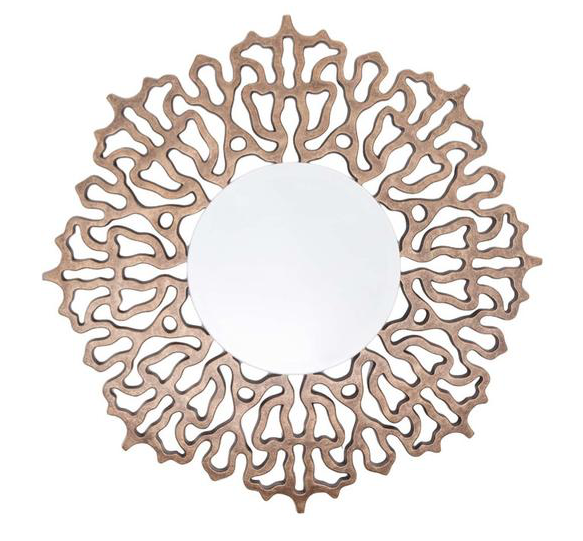 Give the Colmar Mirror from Around The House Furniture a real strong background to feature on. This beautiful Pin-Tucked Velvet Throw from Cox and Cox looks luxurious enough for royalty and really breaks up the plain-ness of the rest of the room. 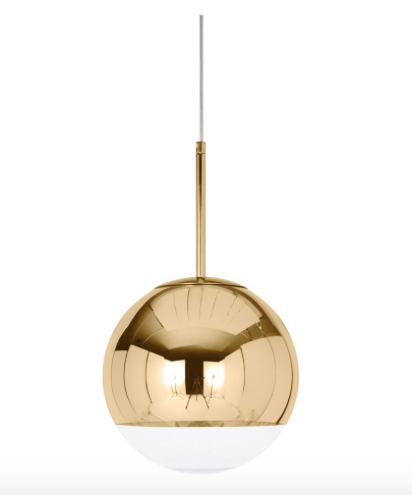 Get some gold pendant lights in the space to warm up the look, like these By Tom Dixon at Houseology. 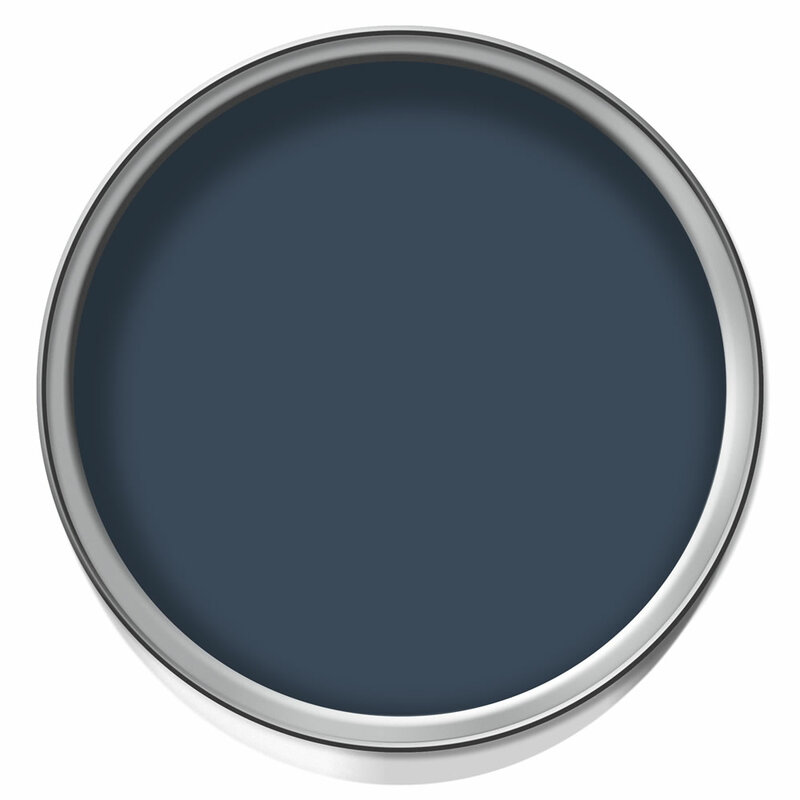 The perfect shade of matte by Crown in Midnight Navy. Use a warm grey as the background colour and keep the rest of the scheme looking warm by using tan leathers and fluffy rugs. Blue doesn't have to mean masculine, keep it pretty and girly by pairing with pastel pink and bunch of flowers - everyone's a winner! Use just the right amount. 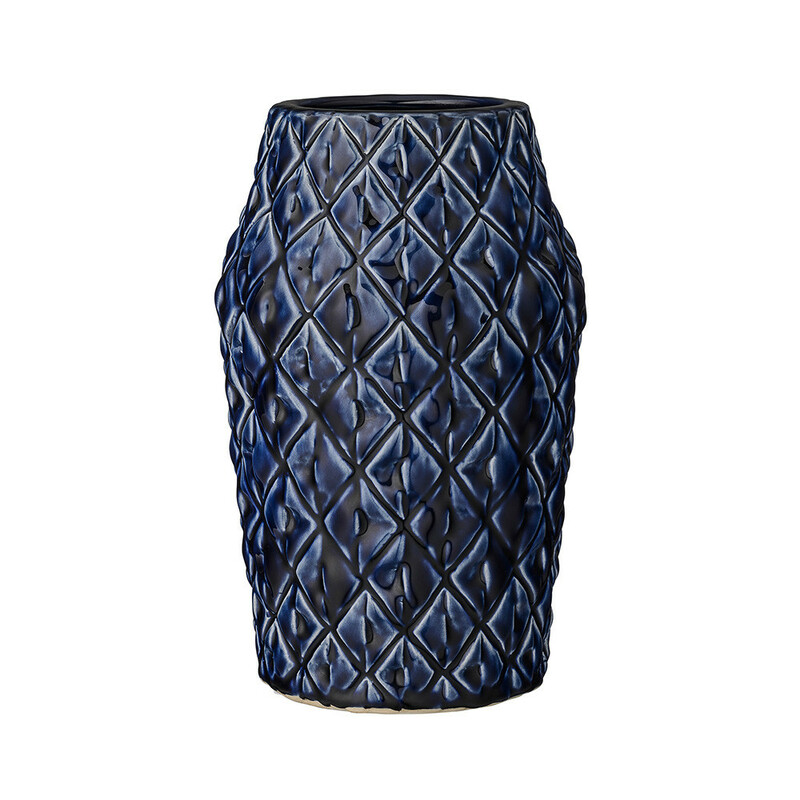 Sometimes less is more when it comes to complimenting your space. This kitchen has a great balance between light and dark to ensure it works together instead of fighting for attention. 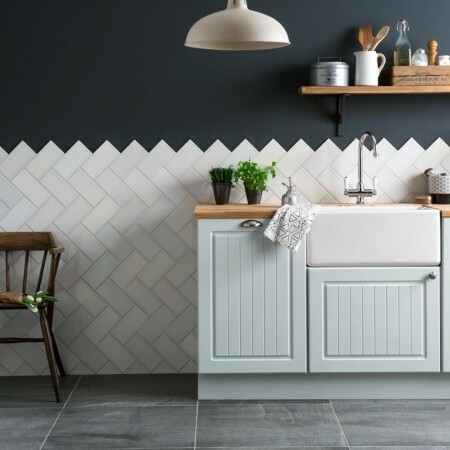 The Herringbone pattern made using the tiles is also a nice touch.